As the mother of 11-year-old twins, I spend every day planning, supporting, and coordinating their lives. I have also worked in their school, sat on its board, and made myself available to teachers and parents needing support. 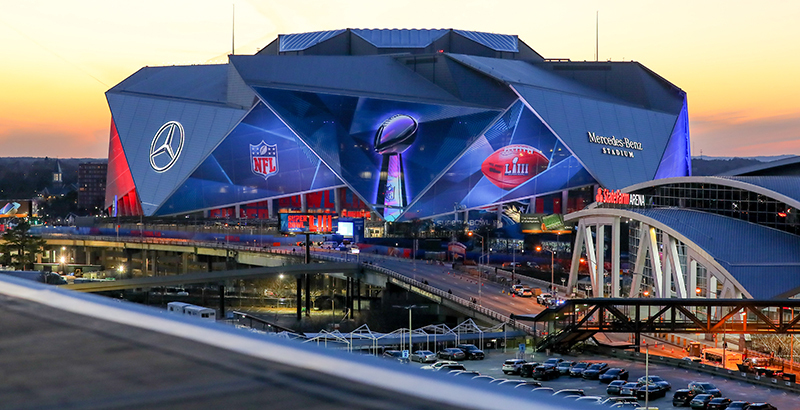 With that background, as the city of Atlanta and the rest of the country prepare for the biggest event in professional sports, it occurs to me that if we made the same demands of our public schools as we do of our favorite pro football teams, we would have few or even no failing public schools. I have to imagine that when Atlanta Falcons owner Arthur Blank is recruiting a head coach, the conversation centers on four basic things — funding, staffing, execution, and winning. I also believe the new head coach would get to develop the strategy, determine the budget, and pick the coaches before promising Blank a Super Bowl ring. As Atlanta Public Schools rolls out its plan for creating a System of Excellent Schools — an initiative for helping struggling and failing schools that’s being discussed by the Atlanta Board of Education — we should expect no less from the district than we would from the Falcons. If you consider yourself a rabid fan of your favorite team, you start each season expecting a playoff berth and a potential shot at the big show. As a loyal fan or season ticket holder, you would demand that the owner make the right investments, the head coach build a competitive team, and the players have a strong coaching staff to execute at the highest level. Just as your team has to get what it needs to have a winning season, our children must have quality schools to get the education they deserve. That’s why creating the System of Excellent Schools is so important. The system was born out of a desire to allow innovation, flexibility, accountability, and community involvement in the success of our public schools. It would allow struggling and failing schools to get the full resources they need from the district, so they can become great schools. In a city that is already friendly to charter schools and other types of education reform, a vote by the board in March to create the System of Excellent Schools is a natural next step in the implementation of a district-focused, transformational strategy. If the district board approves the system in its March vote, it will show that no matter if they go to a traditional public school or a public charter school, with the right amount of resources, our children can thrive. But to make sure the System of Excellent Schools is approved, we must began to have honest conversations and support realistic goals in our school communities. This is why I support the work of Better Outcomes for OUR Kids (BOOK), a nonprofit organization determined to have honest and open conversations with Atlanta parents, communities, and stakeholders. Having these critical discussions will help families build a fan base that can set expectations for student success. When we ask the owner — the district — to make the tough decisions to build a winning team — our students — we must have a plan that helps all public schools win. As Falcons fans, if we can expect a plan from Arthur Blank, we can certainly expect the same from the Atlanta Public Schools. Because in the end, we want all our children to make it to the Super Bowl. Suzanne G. Mitchell is former vice chair of the board at Atlanta Neighborhood Charter School (2015 Georgia Charter School of the Year) and former president of the Organized Neighbors of Summerhill civic association.